CorkBIC was formed in 1988 with the support of the European Commission, Cork Chamber of Commerce and the public sector (local authority, statutory agencies and University/Colleges). CorkBIC is a leading interdisciplinary venture consultancy in the South and Mid-West of Ireland and provides an integrated process for incubating and growing high potential technology driven companies. It was licensed by the Commission as an EC-BIC in 1994 and has been regularly audited on behalf of the Commission and the CSF for Ireland. CorkBIC is part of a network of 200+ BICs throughout Europe, The European Business & Innovation Centre Network (EBN). CorkBIC works as a hands-on catalyst or project developer in infrastructure gap initiatives. CorkBIC with the 3 main University / Colleges (University College Cork, Cork Institute of Technology and Institute of Technology Tralee) together with Enterprise Ireland initiated the Graduate Enterprise Programme, (later Genesis) - a 12 month rapid incubation programme that has now fast tracked nearly 200 companies. CorkBIC initiated in 1997 an industry association called it@cork for IT professionals to develop the region as a centre of IT excellence. The Atlantic University Alliance of 3 established Universities coming together to develop a cross region Technology Transfer Initiative. 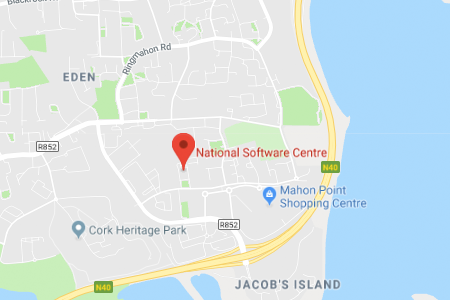 Working with the Regional Authority and Cork Corporation CorkBIC initiated the 12m Euro National Software Centre project, financed between the public and private sector.